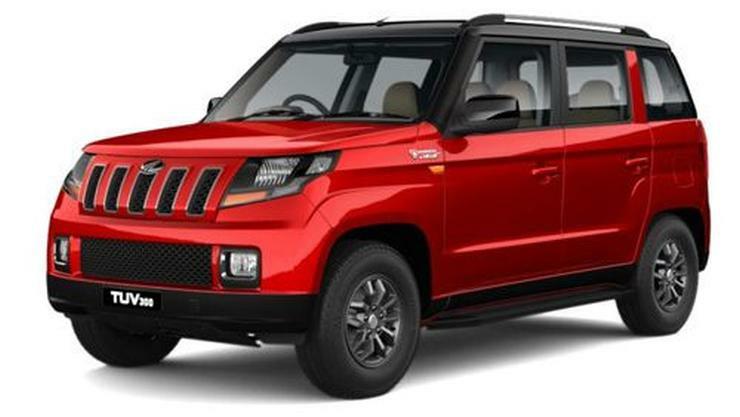 Mahindra has just given the TUV300 sub-4 meter compact SUV a power boost. All variants of the SUV will now get the 100 PS-240 Nm state of tune as standard on the 1.5 liter turbo diesel engine. Previously, Mahindra used to sell the TUV300’s lower variants with 1.5 liter turbo diesel engine in the 84 Bhp-230 Nm state of tune. The increase in power and torque across all TUV variants is to make the SUV more attractive to buyers as the Maruti Vitara Brezza, Ford EcoSport and the Tata Nexon are taking sales away from the Mahindra vehicle. The additional power and torque on the TUV300 will make it better to drive as the vehicle is already quite heavy. Unlike the Brezza-EcoSport-Nexon, the TUV300 uses a rugged but heavy ladder frame chassis. This adds a significant amount of weight. making the SUV sluggish when fully loaded. The extra power and torque should help matters now. The TUV300 will continue to be a rear-wheel drive SUV, with both 5 speed manual and AMT options on offer. The extra power and torque for the lower variants of the TUV300 has not resulted in a price increase. This is an excellent move as far as the buyer is concerned. Prices of the TUV300 start from Rs. 7.76 lakhs, for the base-T4 variant. The compact SUV offers twin airbags and ABS as standard safety features from the T4 Plus variant, which starts from Rs. 8.12 lakhs. We recommend all buyers to opt for this variant at the bare minimum as it offers life saving safety features for just Rs. 36,000 extra. That is less than Rs. 500 in terms of a monthly EMI on a regular car loan, a small price to pay for the higher safety it offers. Mahindra also offers a range of accessories for the TUV300, which give the already-imposing SUV even more muscular looks.